Mat thickness is a full 1/4"
103 Feet. Three feet more than competitor's mat roll! Yoga Direct's ¼” Yoga Mat Roll is your most economical way to furnish a new yoga studio or replenish your current supply of yoga mats. With our competitive prices, when you purchase the mat roll and cut your own yoga mats, you’ll pay less than $8.25 per mat! A cushy 1/4'' depth makes our yoga mat roll one of the thickest on the market. Each roll is 103 feet long, which is long enough to cut 19 (68") mats or 18 (72'' long) mats. 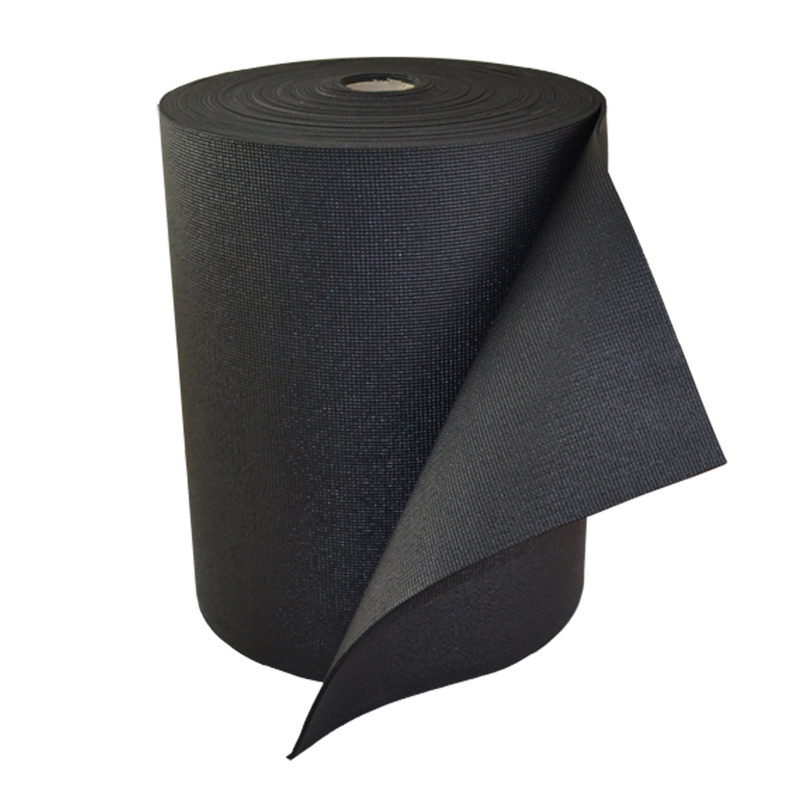 Our 1/4" thick Yoga Mat Roll is thicker than most mats for extra comfort and is the highest quality available. Our a full 1/4 inch extra thick mat is the most popular size mat, used by yoga studios and Yogis alike. Each roll is 103' long, which is long enough to cut 19 mats that are 68" long, or 18 mats that are 72" long (this is typically 3 inches longer then other mats on the market). Additionally, our 1/4" mat roll weights almost 55 lbs, a full 15 pounds more then most of the competitors on the market, which is inductive of the extra thickness and quality in our product. Great studio mats! A little extra effort, but the price is great and you get to decide how long to make your mats. First roll produced 18x 68" (standard length) mats. Good quality. The brown Yoga mat roll was a really great product to add to our new home. The hardwood floors are protected and the dogs don't slip and slide. They are super easy to cut to the exact size needed and always easy to clean. No more ram board during our construction. LOVE THIS PRODUCT! I am super pleased with my yoga mat roll purchase! The quality and thickness of the material is great and purchasing in a roll enabled me to provide more mats for my classes! Cutting individual mats was extremely easy - we used the rotary cutter I use for sewing and a cutting mat. Perfect. I recommend the 1/4 inc yoga mat roll for anyone needed multiple mats. We purchased a roll of the olive green mats about 12 years ago when we opened our yoga studio. We only have had to retire two mats since then. These are great durable, simple mats. Nothing fancy. They perform well and last which is exactly what we were looking for. High-quality material, expedient delivery, and proper packaging. I bought this to use as a stylish "paw hold" for my elderly dog on the laminate floors. The material is rugged enough to withstand the energy of the younger dogs, and the color is a brilliant and beautiful accent. WOW great mat! Very good quality and thick! Fast shipping, was able to get many more mats for cheaper price for our dance studio than I would if I had bought already pre-cut and separate. I will buy from here again. I bought these for Pilates and they are great. Good quality and perfect thickness for Pilates mathwork - not to padded, but vey comfortable for rolling.